The growing tip of lettuce is enclosed by leaves that make up the lettuce “head,” which block air movement and create a very humid micro-environment around the growing tip. 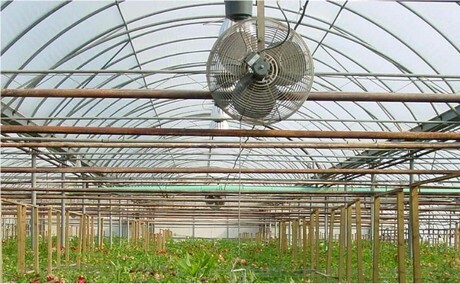 This humid micro-environment results in low transpiration of the growing tip and reduces calcium transport to the new leaves, even if the outer leaves are transpiring adequately. With low transpiration to the growing tip, insufficient transport of calcium causes the tissue along the young leaf tips to collapse and turn necrotic as the leaves expand. In this scenario, the problem is not insufficient calcium supplied to the root zone, but a physiological disorder related to poor transpiration of water and humid environmental conditions. Figure 2. 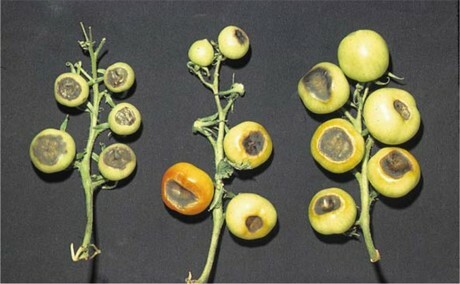 “Blossom end rot” related to calcium deficiency in tomato. Sonneveld, C. and W. Voogt. 2009. 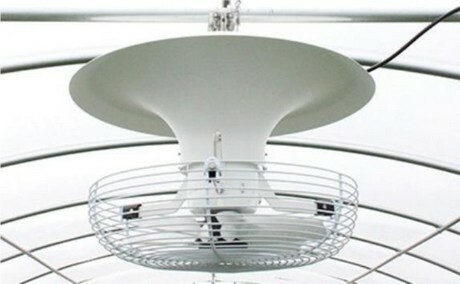 Plant nutrition for greenhouse crops. Springer. The Netherlands. 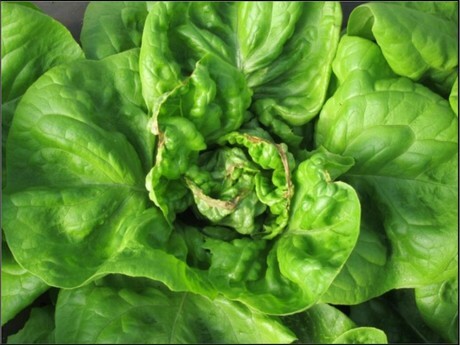 Drought stress, high soluble salts, and chemical phytotoxicity can also cause leaf tip-burn in lettuce and other leafy greens. However, symptoms of these problems tend to occur on older and mature leaves, whereas inner leaf tip-burn from poor transpiration and calcium transport occurs in young expanding leaves within the head. Unfortunately, there is no way to salvage necrotic leaf tissue. But there are strategies growers can use to facilitate calcium uptake and prevent inner leaf tip-burn. First check that adequate calcium is supplied in the nutrient program. Supplying 40-50ppm of calcium in the applied fertilizer or hydroponic nutrient solution is a good starting point. Depending on the source, the raw irrigation water may also contain calcium. Increasing calcium in the nutrient solution can help with calcium uptake and reduce inner leaf tip-burn problems, but remember the real problem is more often related to environmental conditions that affect water transpiration.